1004 McDowell Drive, Greensboro, NC.| MLS# 896402 | North Carolina Farm and Vineyard Specialist Patria Properties Inc. Reduced $225k! 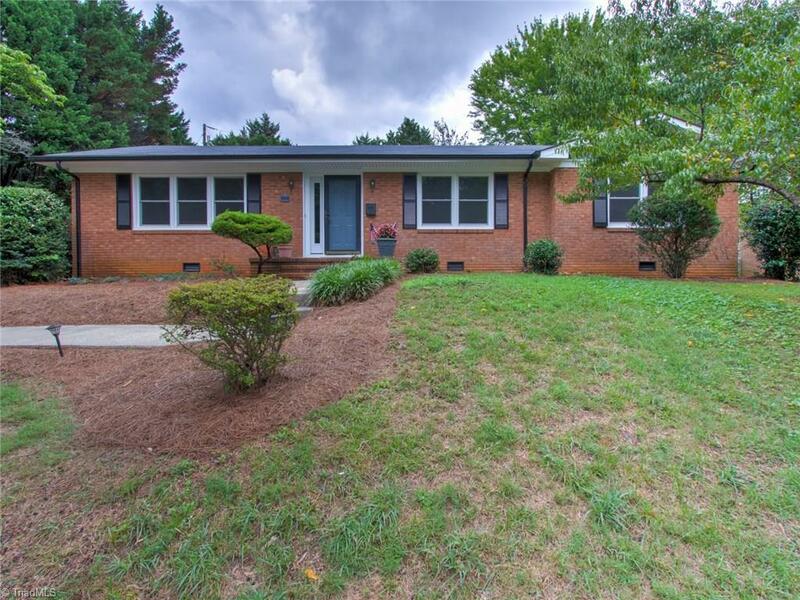 Low maintenance brick & vinyl ranch nestled in popular Green Valley blocks to Friendly Shopping Center or neighborhood pool! Tons of upgrades include fresh neutral paint, new lighting, refinished kitchen cabinetry, new granite, new SS appliances open to bfst area, new vinyl siding, windows, front door, 2010 roof & HVAC, refinished hardwoods. Spacious Living w/hardwoods. Fireside den w/hardwoods. Master Suite w/En Suite bath. Dedicated laundry. Deck overlooking fenced yard. Popular schools!